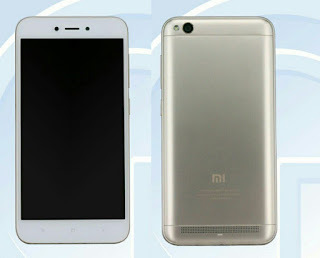 Xiaomi recently launched Redmi Note 5A in China now another Budget Xiaomi Phone with model number MCT3B has been spotted on TENAA which could be Redmi 5A. Xiaomi MCT3B feature a 5-inch HD Display powered by 1.4GHz Quad-Core Processor with 3GB of RAM and 32GB of internal storage. It runs on Android 7.1.2. On Camera, it has a 13MP Rear camera and 5MP front facing camera. The Phone measures 140.44 x 70.14 x 8.35 (mm) and weight 137g. Connectivity Options include 4G, Infrared, Bluetooth, USB but there is No Fingerprint Scanner support. Packed with a 3000mAh Battery. It will be available in Black, rose gold, gold, white, blue, red, pink, gray, silver color expected to launch Soon in China.